Never feel guilty after having the munchies again! Let’s face it. Just about everything is great about consuming cannabis, aside from of course the strict laws that are slowly but surely changing. But there is one other aspect about getting high that is sadly not too desirable either. When you’ve smoked that fat bowl and suddenly the weed kicks in, one of the first things that might hit you is the munchies. For some, the munchies are a welcome visitor. For others, it really puts a dent in their meal-planning and healthy-eating streak that had been going so strong for so long. But why do you need to compromise your health and progress in clean-eating just because you get the munchies? 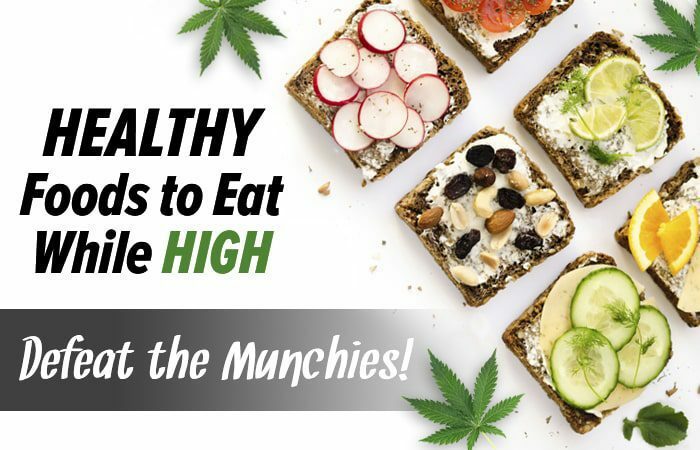 Believe it or not, there is a multitude of healthy options that you can snack on, or even full-on-out indulge in while you are blazing hard. Don’t worry – these choices don’t taste bad either. You might even find that you start craving our healthy picks instead of the usual crap that stoners tend to reach for. There’s nothing wrong with munching on junk food, but we are just saying if that isn’t what you want, you have choices. Can You Get A Tattoo While Stoned? Taking a sobriety test while stoned.